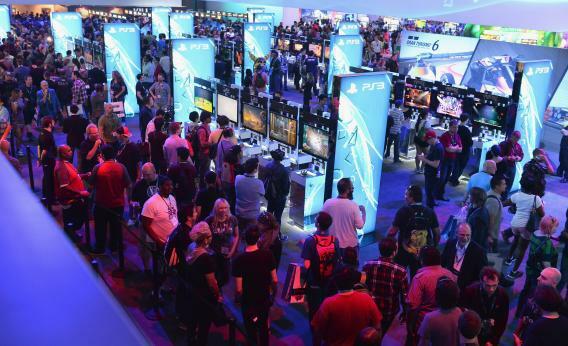 Video game industry sexism: The time for talk is over. In recent months, the conversation surrounding sexism in the video-game industry—once a progressive, much-needed call to arms to improve attitudes toward women in a male-dominated field—has lost focus. The industry-wide exchange of ideas has, by way of inaction, dissolved into a series of back-and-forth of personal stories, recycled and broadcast through the gaming press and presented in the guise of bona fide evidence that Things Have Not Changed. The problem with this is that it’s not helping anyone. We already know that sexism in the video-game industry exists. This fact has been well documented. The more pressing question is: What the hell are we doing about it? When this issue began to be publicly debated a few years ago, the industry agreed that it was important to keep talking about it. And that’s exactly what people did (including me). Women from all parts of the gaming industry—players, developers, journalists, marketing consultants, and public-relations professionals—confessed their fears and reservations about the industry’s attitudes toward women, sharing personal stories and moments of prejudice they had encountered. The mere fact that people were speaking publicly about this issue for the first time was revolutionary. It was an important first step. The November 2012 #1ReasonWhy social-media movement—in which women from around the world related their personal experiences of sexism in the games industry—was the natural culmination of this industry-wide sharing session, a bubbling over of dissatisfaction and disgust. It was the first clear opportunity to take the next step and move into action. Instead, we seem unable to move past the point where we just talk about our feelings. Take, for example, the stories about sexism at the recent Electronic Entertainment Expo, the annual gaming industry convention in Los Angeles. (There’s always someone who thinks it’s funny to ask a girl if she plays video games, even at E3.) And while some of the stories were indeed shocking, coverage of these events adds nothing new to the debate. Instead, it continues to keep alive an outdated and embarrassing image of the gaming industry as a backwater of misogyny and sexual harassment, which it isn’t. Many of the stories do nothing more than expose the general lousy behavior of the men involved, rather than reveal anything bigger about the prevalence of sexism at E3 or the industry writ large. Jerks are everywhere. Highlighting isolated incidents of jerky behavior only serves to prove this latter point, not a bigger one about the overall state of the industry itself. Finally, these stories are too self-serving to be of any value to anyone but the writer. If we write or publish personal stories illuminating experiences with sexism in the games industry, we need to be careful to ask ourselves who we’re doing it for and why. By continuously concerning ourselves only with the experiences of individuals—“this is what happened to me”—we’re not participating in bigger conversations that need to happen that concern all of us. How do these stories help to change decade-old attitudes and prejudices? It is important to shed light on incidents of sexism, but only when doing so will help the higher cause in some way, and benefit more people than just those involved. It’s not enough to simply tell a story, expect people to be outraged on your behalf, and move on. If these truly were unforgivable instances of sexism in the gaming industry, then it shouldn’t be about personal exposure; rather, making sure the right people know: the organizers of E3, the publisher on whose behalf someone was acting when they did or said that sexist thing. If we want things to change, we need to do more than just be offended that these things are happening. This involves selfless acts that benefit the gaming community as a whole. (Like, for example, Anita Sarkeesian’s video series exploring female video game character stereotypes, their origin and their impact on gaming culture.) It involves talking to gamers about attitudes toward women, both online and offline; it involves talking to video game publishers and developers about workplace diversity and stronger female game characters. It involves talking to organizations like the Entertainment Software Association about banning scantily clad models at E3 in acknowledgement that the gaming audience is now made up of nearly equal parts men and women. None of these suggestions is new. They’ve been discussed and debated about over and over again. They are brought up every time a new scandal breaks out, every time someone does or says something they shouldn’t. Yet we always revert back to talking about ourselves. It may just be that this is the easiest thing to do. But if we’re prepared to do nothing more, then we also have to stop expecting things to change.